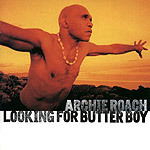 CD review: "Looking for Butter Boy"
There's nobody quite like Archie Roach. In fact, there's no one at all like Archie Roach. Nobody who sings like him, nobody who writes songs like him, nobody who uses his music so effectively to question his audience's values and assumptions without offending or talking down. An Australian aborigine, Roach's music is immediately accessible and nonthreatening. Yet his lyrics question nearly every assumption of the mass culture  on race, on consumerism, on land use. Yet, even in his criticism of Western culture's values Roach is never preachy (maybe he could give lessons on that to U2's Bono) or condescending  instead, he reminds us of our own idealism, our own dreams. Then there's the voice. Like Sinatra or Mathis, Roach has a unique sound that instantly identifies him. His third U.S. release, "Looking for Butter Boy," shows that Roach continues to grow artistically from his first two, "Charcoal Lane" and "Jamu Dreaming." He's more confident as a singer, more able to try something different and pull it off. Which only adds to his strength as a composer. And Roach's 13 new songs are all solid; a few are good enough to be covered by others. One, in fact  "Louis St. John"  is a classic bit of pop/folk craftsmanship that deserves wider airplay than it will ever get. It's intricate in form, complex in development, artistic in delivery. There are plenty of social preachers out there passing themselves off as musicians. Not since Bob Dylan's early recordings, though, have we had the combination of moral vision and personal modesty that makes for the kind of cohesive statement that Archie Roach brings.